A video of four white guys arguing about Islam went viral this month. On HBO’s Real Time with Bill Maher, “liberal” atheists Bill Maher and Sam Harris got a bit upset when Ben Affleck (rightly) called them out for being racist and Islamophobic. Islamophobia, Maher answered, is “not a real thing when we do it.” Harris called Islam “the mother lode of bad ideas,” to which Maher’s “liberal” studio audience applauded. They argued that the minority of extremist Muslims who want jihad is a larger contingency than we think, that most of the world’s 1.5 billion Muslims aren’t moderates. The corporate media loved this brouhaha. Maher became Fox’s new favorite racist. 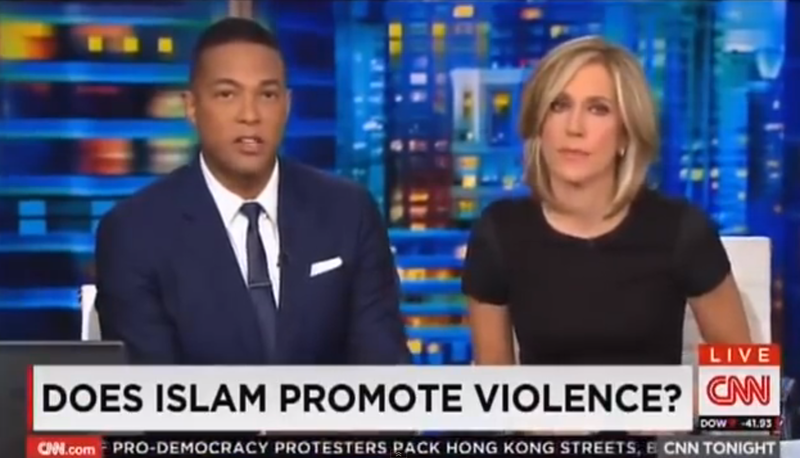 CNN ran a segment, “Does Islam Promote Violence?” in which they asked Reza Aslan, professor at University of California, Riverside, and religious scholar, for his response. Aslan simply pointed out that, in fact, not all Muslims or even a majority hold extremist views. Yes, stoning happens in Pakistan, and women can’t drive in Saudi Arabia. But those are not Muslim problems. They are Pakistani and Saudi problems respectively. Using these examples to justify generalizations of all Muslims is bigotry. Strictly speaking of course this is true. Islam is certainly not a “race”, at least not in the way in which the term is popularly understood in America. But because many people buy into the myth that theocratic governments or even groups like Al Qaeda and ISIS speak for all Muslims, Muslims have become — undeniably — a racialized group after 9/11. Moreover, in a number of instances, Sikhs have been the victims of violent anti-Islam hate crimes. Some writers like Ali A. Rivzi have blamed moderate Muslims for letting this generalization spread. It’s not their fault. It is not their responsibility to defend their religion after a few self-identifying members of the same religion commit murder in the name of their religion. It’s not like they would have the opportunity, anyway. How often do you get to hear everyday Muslim voices in the mainstream media? Almost never. The only way Islam can be portrayed is by radical groups like ISIS because it makes for “better” TV. It’s easy to condemn ISIS for its actions, but it takes a bit more effort to understand that ISIS doesn’t represent the views of the majority of Muslims worldwide. No one thinks that the Westboro Baptist Church represents all Christians because most people who see those bigots are Christians themselves or at least have a general understanding of Christianity. This is not the case for the majority of Americans watching mainstream corporate media coverage of ISIS. One dangerous result of these misrepresentations is broader support for U.S. military intervention against ISIS. There is indeed a certain element of ISIS that wants to establish the caliphate and impose a strict interpretation of sharia law. But much of ISIS is made up of former Saddam-era military officials fired by the United States during its occupation who simply want an end to economic inequality and sectarian oppression in their region. Painting ISIS as one monolithic organization is like painting all of Islam as one monolithic religion. As Iraqi journalist Ghaith Abdul-Ahad, who embedded with Shia militias fighting ISIS, pointed out on Democracy Now!, fighting ISIS as such is bound to fail. Not understanding the intricacies and nuances of ISIS leads to a broad generalization of the group. “The war that ISIS is waging on the Iraqi government is a coalition of many different tiny, little wars,” in which regular citizens of Iraq are expressing their grievances with their government. “ISIS have managed to include them all under a single one umbrella,” Ghaith said. When American viewers see CNN’s segment about Islam, they get scared. That’s what the mainstream media is great at doing: fear mongering. If people think that Islam inherently promotes violence, of course they’re going to support the bombing of ISIS militants in Iraq and Syria. And since, according to Bill Maher, the Muslim world has “too much in common with ISIS,” it’s quite all right if Muslim civilians die from our bombs because they’re all the same over there, anyway. Maher and his atheist friends fail to see the bigotry in their own logic. This entry was tagged Atheism, Ben Affleck, Bill Maher, Islam, Sam Harris. Bookmark the permalink.